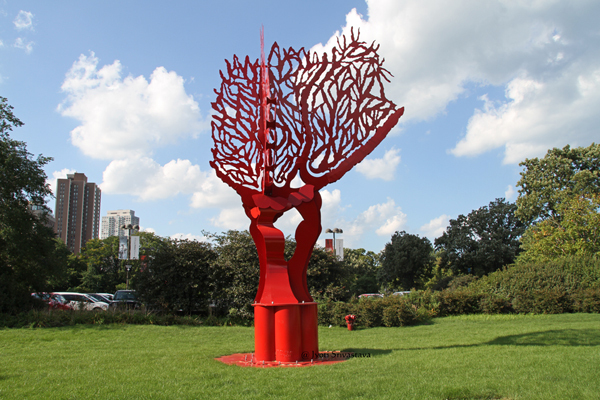 2016 CSE Exhibit: Red Tree by Ruth Aizuss MigdL. 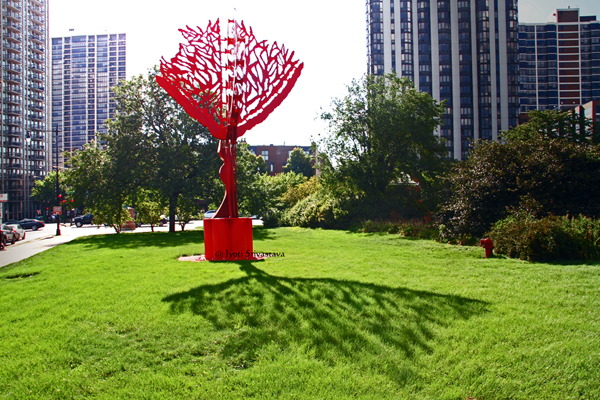 Brought by Chicago Sculpture Exhibit [CSE].. in collaboration with Chicago Park District [CPD]. 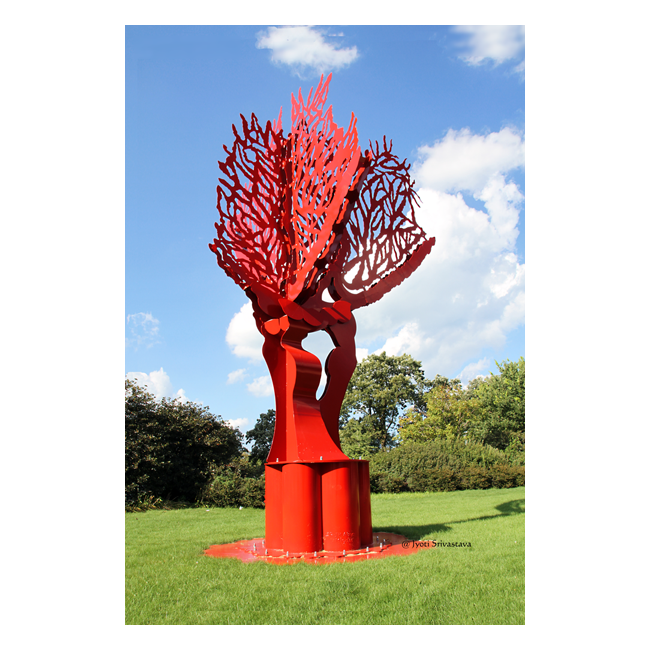 Ruth Migdal website.. click here..
Ruth Migdal is famous for human torso, especially female torso in bronze. 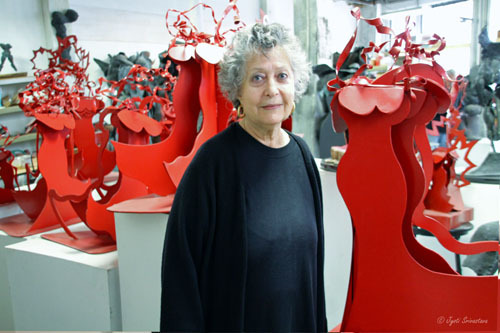 For the past few years, she has been fabricating in steel, particularly dancing divas in vibrant red! 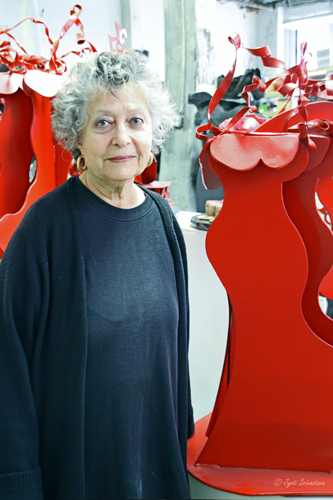 Her sculptures vary in size and scale, ranging from larger then life monumental sculptures, to small scale work of the size of paper weight. 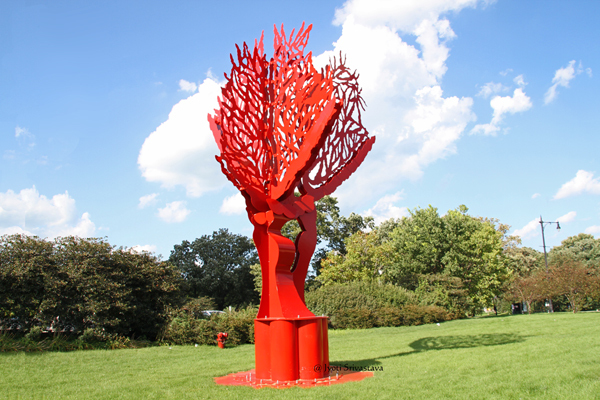 Her work has been displayed in exhibitions and galleries all over the country. Ruth completed her B.F.A. School of the Art Institute of Chicago in 1954 and M.F.A., University of Illinois, Urbana, Illinois in 1958. She taught Art at Harold Washington College from 1989 to 1996. I have met with Ruth Migdal many times.. Here is my earlier post on Studio Visits.. click here.. 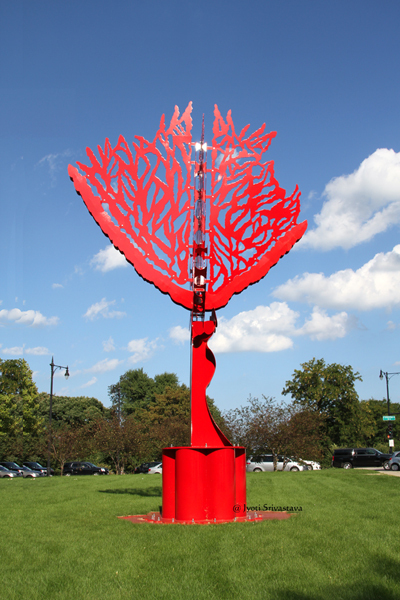 Temporary exhibit: Chicago Sculpture Exhibit.. click here..
2014 Studio Visit: Ruth Aizuss Migdal..click here..
2010 Studio Visit: Ruth Aizuss Migdal.. click here..